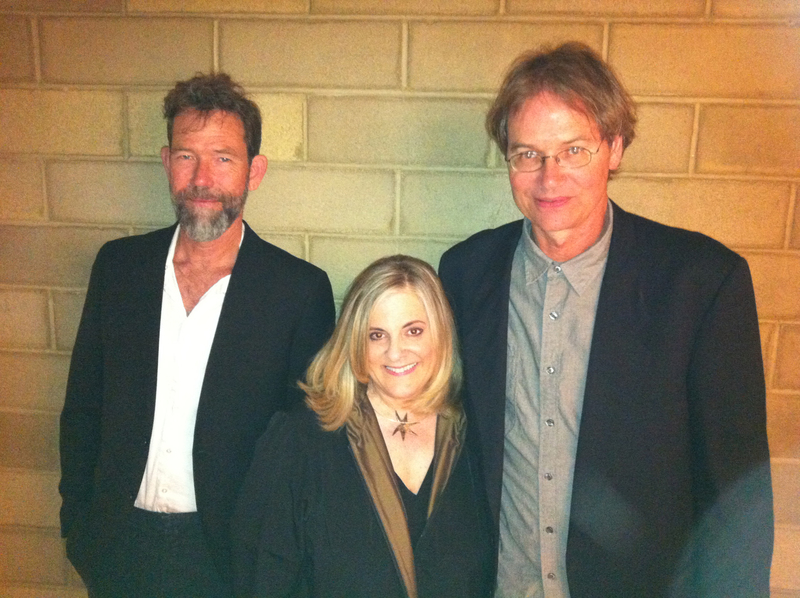 Artists, Alliances, and Guggenheim Recipient Jeff Colson | Jill Thayer, Ph.D.
May 1, 2012 · by Jill Thayer, Ph.D. 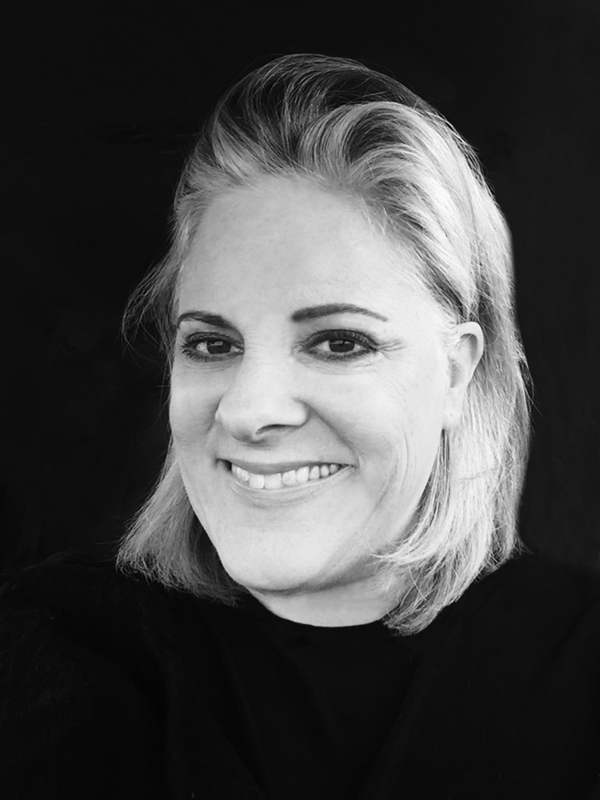 Throughout my transdisciplinary endeavors and research into the mechanisms of artist emergence, I am elated to learn when an artist friend achieves career recognition. One such individual is Jeff Colson, a noted contemporary artist represented by Ace Galllery, Beverly Hills, California. 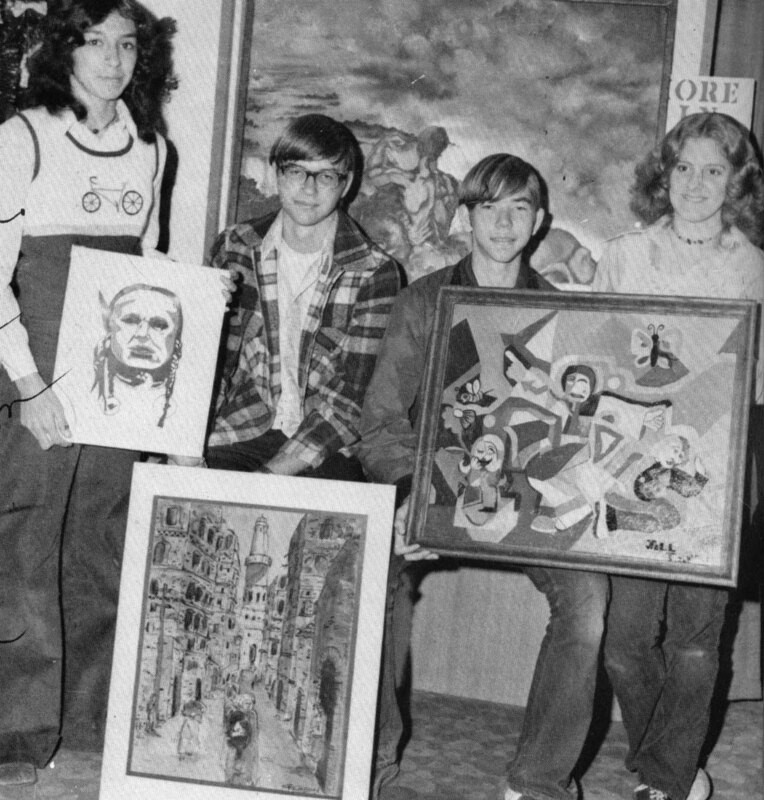 Jeff, his brother Greg Colson, also an internationally recognized artist, their younger brother Doug, now an accountant, and I go way back to the early 1970s. We attended the same high school (North High), college (California State University, Bakersfield), and graduate school (Claremont Graduate University). Greg is my age and Jeff, a year younger. For almost four decades, we have stayed in touch and supported one another’s respective careers here, there, and beyond. 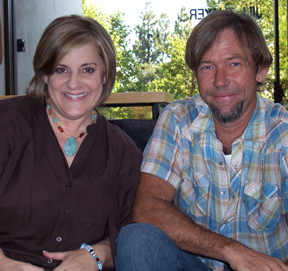 Upon hearing of Jeff’s recent accolade in being named a recipient of the John Simon Guggenheim Memorial Foundation Fellowship for U.S. and Canada Competition, Creative Arts – Fine Arts, 2012, I had to pause and reflect on the extraordinary journey, in which he and his brother Greg have embarked as contributors in the contemporary art discourse. Many years ago, both Jeff and Greg were kind to exhibit their work in the intimate space of Jill Thayer Galleries at the Fox, even as their careers were converging on the LA and international art scenes. 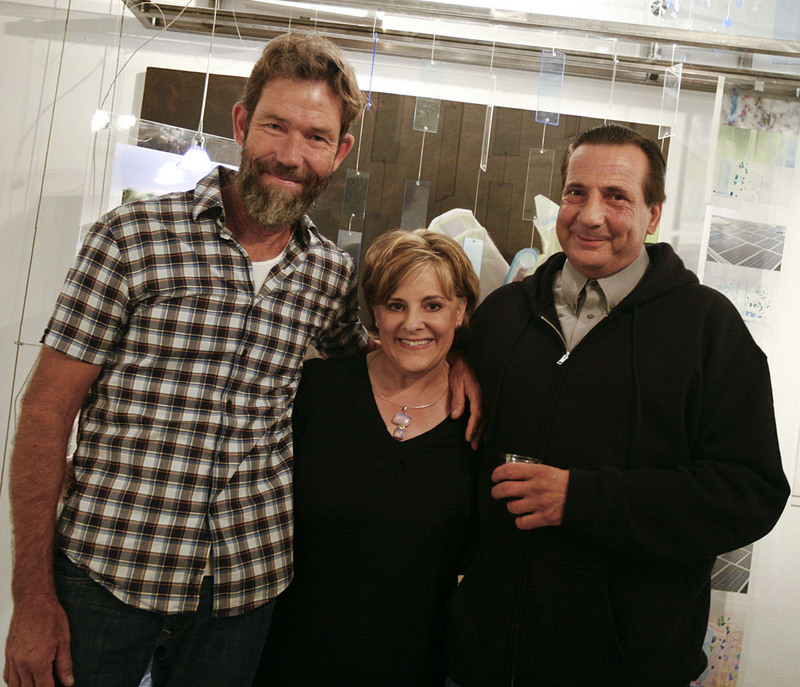 Our CSUB professors: Ted Kerzie, George Ketterl, and Michael Heivly; and NHS art teacher Bill Ryan showed in the gallery as well, and the Colson’s were on hand when schedules allowed to support their friends, colleagues, and mentors. 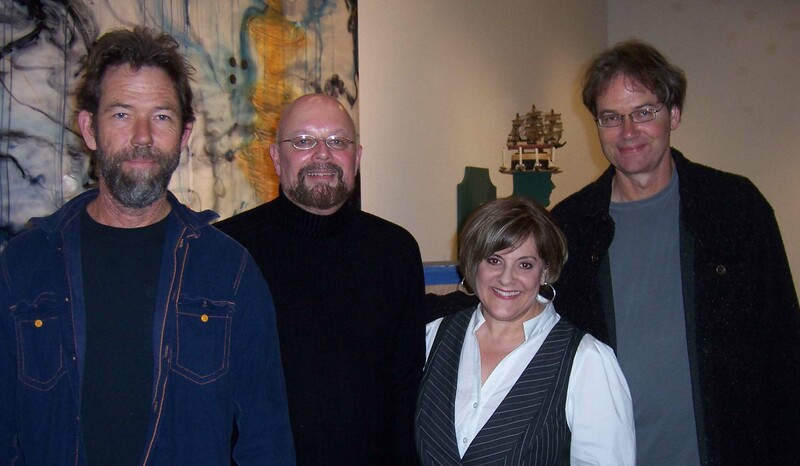 In 2009, we exhibited in Protégé, a faculty and alumni show at California State University, Bakersfield, Todd Madigan Gallery. 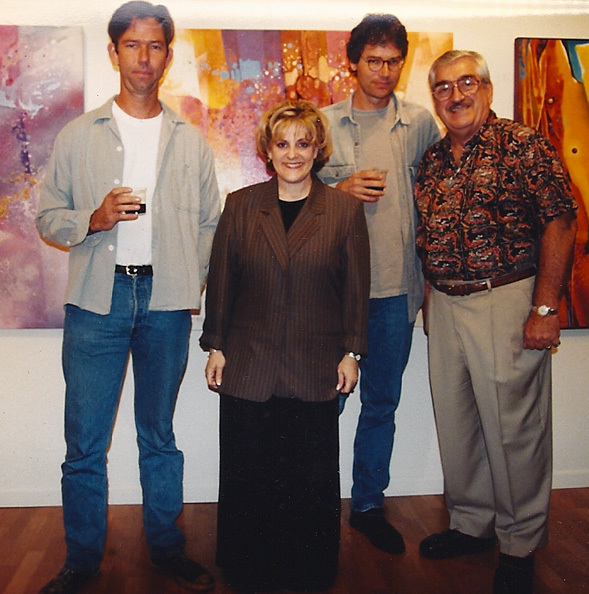 That same year, we collaborated with Edward Lightner, Deanna Thompson, and Thomas Trivitt in Oildale, an exhibition at L2kontemporary in Chinatown, reuniting fellow Bakersfield art colleagues from decades past. Aside from the Colsons’ quiet demeanor, humble nature, and exceptionally brilliant talent, they remain the same down-to-earth, good ole’ boys today as I knew back then. Which makes it even more gratifying to realize that my graduate path was initially blazed by the brothers a few decades earlier at Claremont Graduate University. Full circle indeed. That being said, it gives me great pleasure to note Jeff’s distinction and recognition as an extraordinary artist working in an ever-challenging culture. Kudos, my friend. 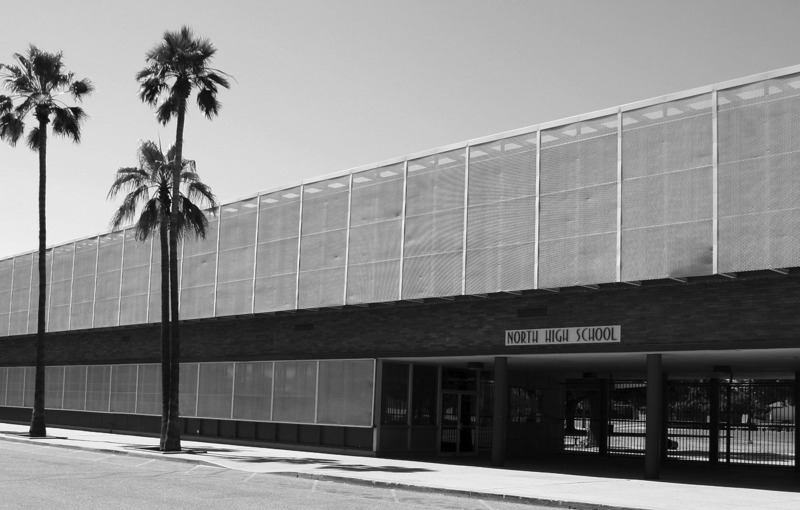 LOS ANGELES – April 2012 – Jeff Colson was recently awarded a John Simon Guggenheim Memorial Foundation Fellowship for U.S. and Canada Competition, Creative Arts – Fine Arts, 2012. The Fellowships assist research and artistic creation for artists and scholars. The artist’s approach is a “memory-based idea with all its distortion,” as constructs of the work are biographical from memory. Individually forged through Colson’s own hand-crafted devises, the elements are carved, cut, sawed, sanded, painted, welded, and molded to replicate a relief of modules customized to fit snuggly within the confines of this manufactured receptacle. Colson’s intent is not one of anti-reality, or a statement against ready-made or found objects. Nor is it a defensive gesture in reaction to art market trends or the world in general. His acumen is organic, efficient, and honest. Roll Up is a continuation in a body of work that the artist has been developing for 12 years. 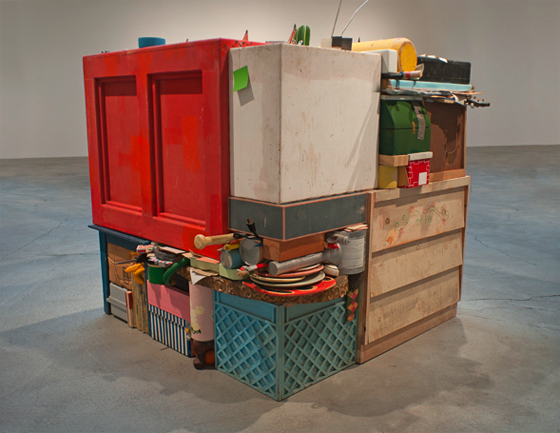 The piece segued from a previous work entitled, Jumbo Cube (2007-2012), that was part of Colson’s exhibition at Ace Gallery, Beverly Hills entitled, “Jeff Colson: Painting, Sculpture, Painting, Drawing,” (October 23, 2010 – January 29, 2010). Autobiographical in nature, Colsonʼs work is created from memory rather than existing objects and wields material in a way that is both transcendent and humorous. Distortion and inaccuracy play a role, which he refers to as “wobbly logic.” The complex sculpture, Jumbo Cube, (2005-2010) appears to be an assemblage of assorted objects – some are intimately personal, others arbitrarily imagined – snuggly fit together like puzzle pieces to form a cube; in reality, the entire artwork is intricately carved out of wood and fiberglass and then painted to resemble the realistic counter- parts from which the objects derive. Jeff Colson grew up near the oil fields just north of Bakersfield, California. His father was a social worker whose do-it-yourself aesthetic, making everything from toys to homemade life jackets, informed Colson’s own identity as a “crackpot tinkerer.” In his sculpture, Colson refers to both that quirky, by-the-seat-of-your-pants decision-making process and Modernism’s purist grid. The sculptures are fabricated from both personal and cultural memory, often without referencing specific objects or images. The resulting forms are familiar, but aren’t real. The ambiguous quality of the “fabricated” object that is real and isn’t “real” registers the distortions of memory on “remembered” images and/or events. Colson’s sculptures are physical documents of remembered reality. The sense of history is also literal as each piece can take months, even years to make. Jeff Colson graduated from California State College, Bakersfield. His work is in the Collection of Count Giuseppe Panza di Buomo at the Museum of Contemporary Art in Los Angeles; the Sammlung Rosenkranz Foundation in Wuppertal, Germany; the Frederick R. Weisman Museum of Art at Pepperdine University in Malibu, California; and in the Los Angeles County Museum of Art’s permanent collection. He is represented by Ace Gallery in Los Angeles. 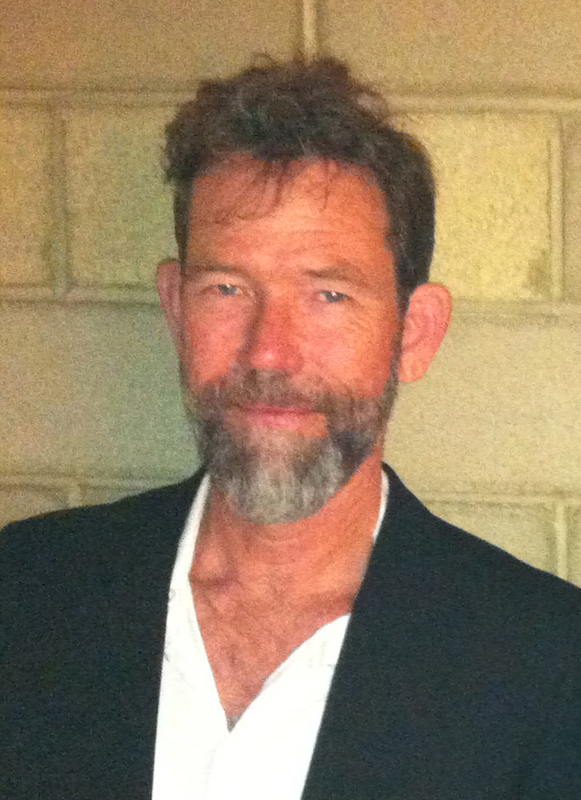 Jeff Colson spent his early years in Oildale, California and graduated from California State University, Bakersfield. He attended Claremont Graduate University relocating to Los Angeles to pursue his art. 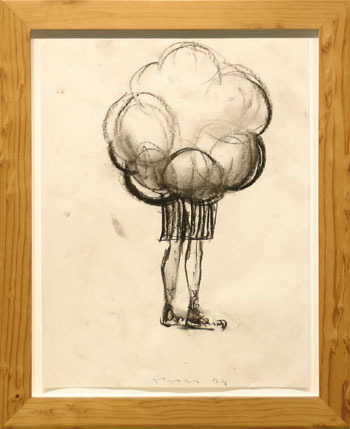 Colson is represented by Ace Gallery, Beverly Hills, California and his work is exhibited internationally. He lives and works in Pasadena, California. See also: Ace Gallery: Jeff Colson. 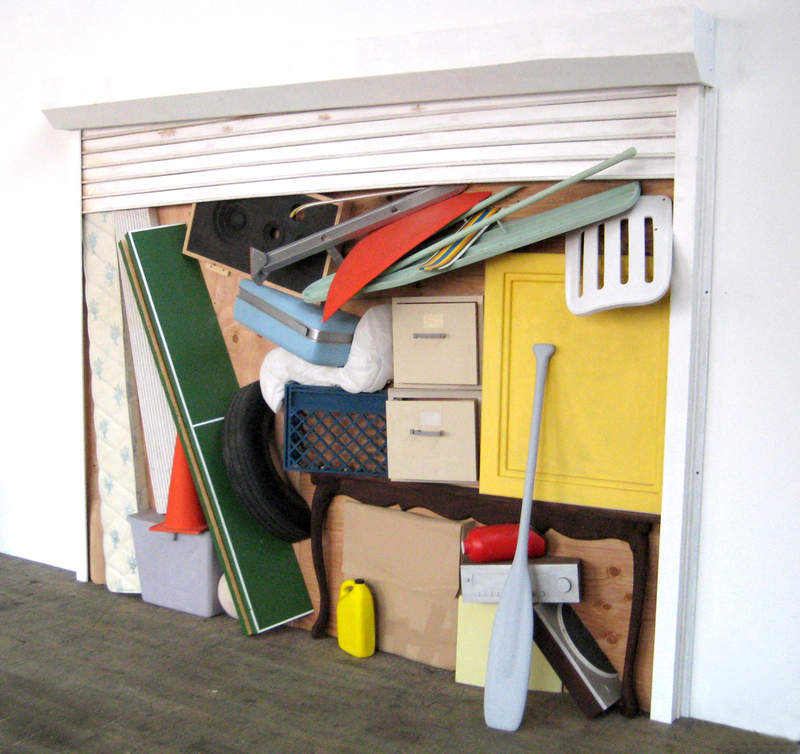 “Jeff Colson: Sculpture, Painting, Drawing,” Exhibition open through January 29, 2010. Release. Ace Gallery, Beverly Hills Institute of Contemporary Art, Oct. 2010. Web. 15 Apr. 2012. <http://www.acegallery.net/press_release/COLSON_BHPR.pdf&gt;. A few more from the archives . . . This entry was posted in Art History, Artist Emergence, Artist Profiles, Professional Practice, Uncategorized, Visual Culture and tagged Jeff Colson. Bookmark the permalink. I knew Jeff back in the day when he had his San Pedro studio and played with a band called “The Curbfeelers”. Please tell him I said hello as it has been over thirty years since then. I have followed him through Ace gallery. He was also a hell of a guitar player. Thanks Lou Blanchard.